Lovely place, lovely people, lovely stay, we will definitely stay there again. In one word: SPECIAL. This was our first stay in a castle, and our very first stay on our first trip to Scotland. For my friend Christine and me, this fun and intimate castle home didn't disappoint. Although our stay was short, we can't say enough about the warmth and care of this beautiful family. Comfortable, cozy, clean, good fresh food, great hosts. 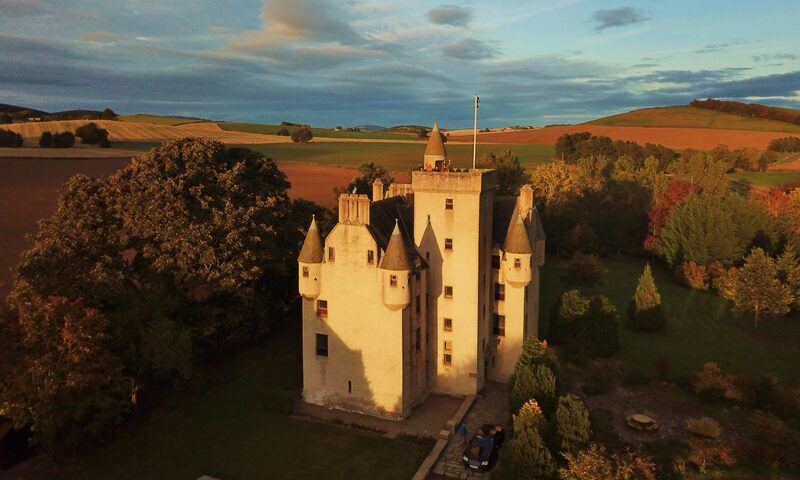 Easily accessible and a tad off the beaten path, the castle offers scenery of farm life and small village and historical connection. There are stairs for those who have trouble climbing steps but what is a castle without a winding stairway. Loved it!! In two words: WORTH IT. Great place to stay was cosy and comfortable , the breakfast was exceptional wanted to stay longer but just a stop off for the night , we were glad to get a guided tour of the castle and was told to look about ourselves as plenty nooks and crannies to be explored.. the owners were really lovely and made us feel very welcome and privileged would definitely stay again was a real treat..
A one-of-a-kind experience living for a couple of nights like royalty! You feel more like a friend than a guest. Lovely, quiet locale, delicious breakfast, charming host. Having a car is best for this spot.